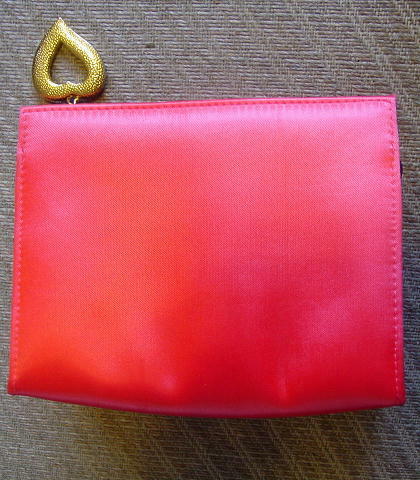 This light peachy-persimmon color fabric (probably an acetate) clutch was made exclusively for Yves Saint Laurent Parfums. 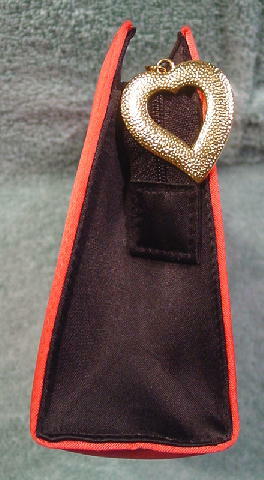 It has a black fabric lining and a top side to side zipper closure with a large gold-tone heart etched design zipper pull. The exterior sides are black fabric and the zipper tab snaps in place on one of the black sides. 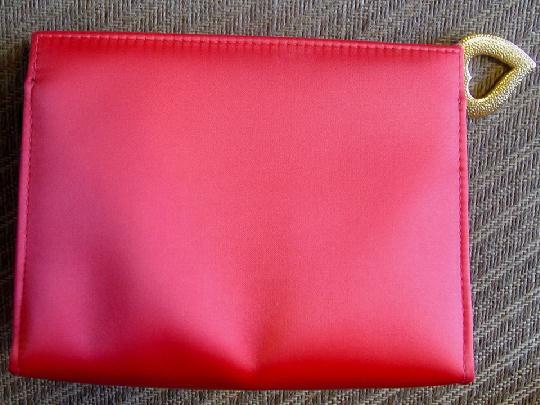 It can be used as an evening bag or a makeup bag.